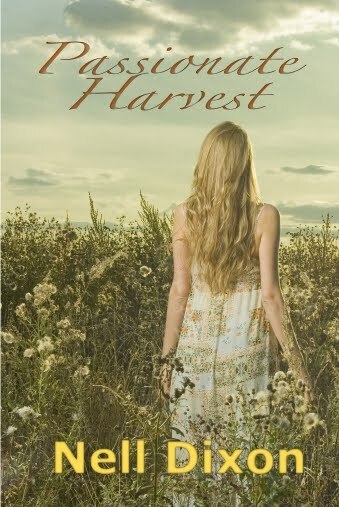 Here's the fabulous cover for Passionate Harvest, my upcoming release from E-Scape Press. I love this cover it has just the right feel for the story which is warm, passionate with a more women's fiction feel than some of my other stories. (For those of you who like my clean reads please be aware that this title isn't! :) My next clean reads title will be A New Bay Wedding out in June with Astraea Press.) 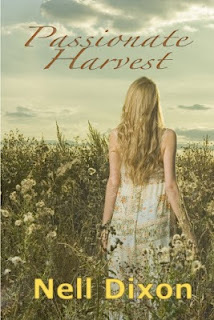 Passionate Harvest will be releasing MAY 21st! I LOVE that glorious cover and you know me, I don't care what level of sexiness a book has - I just like a good,well written read to to be honest, Nell, I make no distinction between your Astraea books and Passionate Harvest. I would pick up any book with your name on the cover Nell, but that image really is lovely. Warm and passionate are hits for me. A really nice cover pic! I look forward to reading it! Good luck with it!